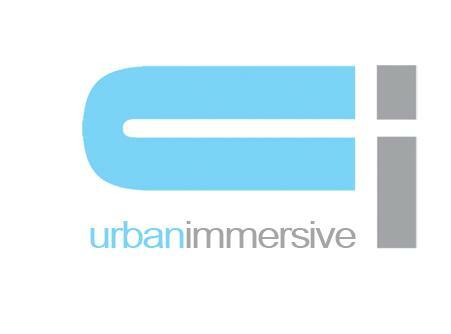 Urbanimmersive Technologies Inc. (TSX VENTURE:UI) ("Urbanimmersive Technologies"), today presented its unaudited consolidated financial results, including those of Urbanimmersive Inc. ("Urbanimmersive" and, collectively with Urbanimmersive Technologies, the "Corporation"), its wholly owned subsidiary, for the three-month period ended March 31, 2015. Second quarter revenues remained stable compared to the same quarter of the previous fiscal year. However, whereas operating expenses decreased by 57% compared to the same quarter of the previous year, these results show that the reorganization of the company's workforce and the development of new solutions are beginning to bear fruit. During the second quarter of fiscal year 2015, the Corporation entered into two agreements with industry leaders in the real estate market for the use of its new immersive blog platform. One of the two agreements is with the APCHQ (the Quebec home builders association) and the second with RE/MAX Québec, one of the largest Canadian real estate brokerage websites. The 2 new customers will receive editorial content production services and will also use the automated system to optimize the cost of traffic acquisition developed within the blog platform. During the second quarter, the Corporation delivered the blogs and established operational bases related to the business processes of theses blogs. Revenues from these new agreements will be felt gradually in future financial results of the Corporation. The visibility of these agreements with the real estate market generates interest and the Corporation plans to conclude new agreements in the coming quarters. During the first quarter, Urbanimmersive announced the development of two platforms: the immersive blog for which 2 agreements have already been announced and a marketplace allowing realtors to find and order a photographer online. Regarding the marketplace, Urbanimmersive began talks with an organization in the real estate market for the deployment of the solution through a large real estate broker network. There is no guarantee an agreement will be concluded within the next months but talks are progressing and allow the Corporation to be optimistic about a first agreement during fiscal year 2015. "We are pleased that the first customers of our new platform are leaders in the real estate industry in our market. The visibility of these agreements is already being felt in the market and our blog platform, specifically its automated algorithm to optimize the cost of traffic acquisition, currently raise considerable interest in the industry. The new blog platform seems to become our flagship solution because it highlights all Urbanimmersive forces in creating marketing content and in 3D immersion technology development. It also opens the door to our marketplace for customers wishing to find and order services from content producers. We are excited about the exportability potential of this solution and are already planning its details." said Ghislain Lemire, Urbanimmersive's CEO. The Corporation's revenues have increased from $201,969 to $205,527 an increase of $3,558 or 1.7% for the three month period ended March 31, 2015 from $335,573 to $571,103, an increase of $215,530 or 60% for the six month period ended March 31, 2015. This increase is mainly due to the contract for APCHQ real estate portal (www.apchq3d.com) for the amount of $200,000. The Corporation recorded, for the three month period ended March 31, 2015, a gross profit of $36,329 or 17% ($225,638 or 44.8$ for six month) compared to a gross loss of $3,744 or 1.9% ($44,228 or12.4% for six month) for the same period in 2014. This increase in gross profit in mainly due to a decrease in Cost of sales of $36,515 for the three month period ($84,366 for the six month period) mainly due to a decrease in salaries. Operating expenses, for the three month period ended March 31, 2015, totalled $208,144 ($447,000 for the six month period) compared to $485,977 ($936,073 for the six month period) for the same period of 2014, a decrease of $277,577 or 57% ($489,073 or 52.2% for the six month period) which is mainly due to the reduction in staff in every department during the year ended September 30, 2014. The decrease in operating expenses is due to a decrease in selling expenses, administrative expenses and in research and development expenses. Selling expenses totalled $48,543 ($89,971 for six month) compared to $198,522 ($320,858 for six month), a decrease of $149,991 or 75.5% ($232,887 or 72.6% for six month) mainly due to a decrease in salary expenses of $53,381 ($115,287 for six month), in advertising expenses of $60,878 ($63,566 for six month) and to the recognition in 2014 of a penalty of $21,857 for a terminated contract. Administrative expenses totalled $104,551 ($223,833 for six month) compared to $201,638 ($439,083 for six month), a decrease of $97,087 or 92.9% ($215,250 or 49% for six month) mainly due to a decrease in salaries of $48,515 ($93,164 for six month), in professionals fee of $21,214 ($58,593 for six month), in traveling expenses of $12,838 ($25,085 for six month), in share based compensation of $4,429 ($19,493 for six month). Research and development expenses totalled $55,062 ($135,196 for six month) compared to $85,817 ($176,132 for six month) a decrease of $30,755 ($40,936 for six month) mainly due to a decrease in staff. During the three month period ended March 31, 2015 other expenses totalled $13,199 ($28,746 for six month) compared to $9,218 ($15,882 for six month) for the same period ended March 31, 2014, an increase of $3,981 ($12,864 for six month). This increase is due to the interest charge on convertible debenture of $7,970 ($14,834 for six month) in 2015 compared to none in 2014 and to an increase in interest charges on long term debt of $1,286 ($3,427 for six month). However the interest on current liabilities and bank charges decreased by $5,562 ($6,096 for six month). The operating results for each of the last eight quarters are presented in the following table. Management considers that the information for each of those quarters was determined in the same way as for our audited consolidated financial statements for the year ended September 30, 2014. As of March 31, 2015, the Corporation had a cash position of $71,065 and a working capital deficiency of $105,585, compared to a working capital deficiency of $372,880 as of September 30, 2014, an improvement of $267,295. This improvement is mainly due to closing of a funding of $500,000 on October 23, 2014. The Corporation has prepared a budget for 2015 using assumptions that management considers reasonable. Achieving budgeted results depends mainly on the increase of sales, compliance with the gross operating margin forecast and control of general and administrative expenses. Management expects to meet its budget and, in order to have sufficient liquidity to fund its operations at least beyond March 31, 2016, is negotiating a capital raising of about $200,000 which it believes to close in June 2015. Although management believes it has developed action plans to manage liquidity risk and operational, there is no assurance that these measures will be successful. In the event that the budget estimates are not realized as planned, the Corporation may need additional capital to fund its operations and there is no guarantee that it would be able to raise the necessary capital. Based in Laval, Quebec, Canada, Urbanimmersive is a digital media corporation dedicated to the online real estate market. The Corporation provides marketing content production services and innovative technology solutions specifically designed to increase productivity and business revenues of its customers. The Corporation's customers are primarily home builders, promoters, real estate brokers, brokerage agencies and real estate portal operators. Certain statements made in this press release that are not historical facts are forward-looking statements and are subject to important risks, uncertainties and assumptions. The results or events predicted in these forward-looking statements may differ materially from actual results or events. As a result, readers are cautioned not to place undue reliance on these forward-looking statements. For additional information with respect to certain of these and other assumptions and risk factors, please refer to the Corporation's MD&A dated January 27, 2015 and filed with the Canadian securities commissions. The forward-looking statements contained in this press release represent our expectations as of the date hereof. We disclaim any intention and assume no obligation to update or revise any forward-looking statements. This news release does not constitute an offer to sell or a solicitation of an offer to buy any of the securities in the United States or to any U.S. Persons. The securities have not been and will not be registered under the United States Securities Act of 1933, as amended, or the securities laws of any state of the United States of America and may not be offered or sold within the United States of America or its territories or possessions unless pursuant to an exception therefrom. Subscribe to our investor newsletter. Simply enter your email below and click "Subscribe": You can unsubscribe at anytime.